In Idle City Empire you can become a real estate tycoon by making smart investments into a wide variety of buildings and businesses. You'll be a millionaire before you know it! Can you build the most profitable city in the universe? - BUILD WITH FRIENDS for even more profit bonuses! Build a city and become the greatest and richest of all city tycoons! Rome wasn’t built in a day, thank goodness—where would the fun be in that? Build Away! doesn’t require your constant attention, but this captivating cartoon city might keep you coming back more often than you’d expect, as you check on your construction creations and rake in all that sweet, virtual cash. Adorable interactions, cool surprises, and a neverending stream of clinking coins make it an urban architect’s delight. I really enjoyed the Idle Farming game and decided to try this one. 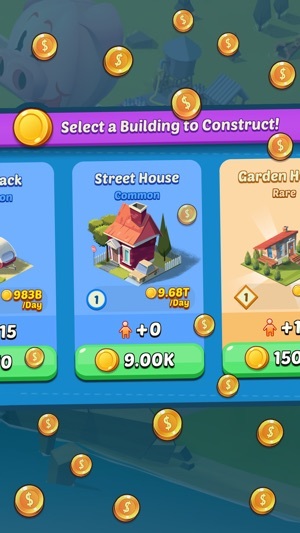 Basically you pick different buildings and earn income from each building. 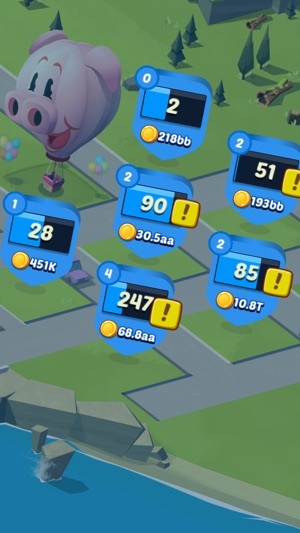 Once you earn a certain amount of coins you can move to a new area and repeat. I honestly don’t like this one as much as I enjoyed the farming game. There are briefcases that are supposed to work in a similar manner to the shoeboxes. 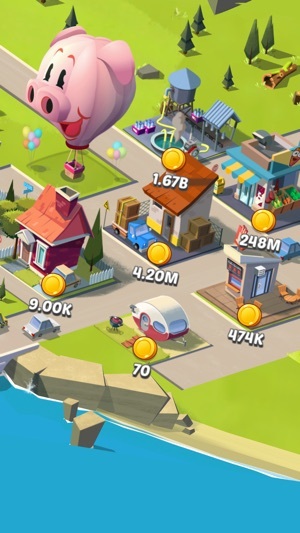 You can get blueprints for new buildings, gems, coins and pieces to blueprints you already have which upgrades the buildings once you get a certain amount. In the two months I’ve playing this game I haven’t gotten a single new blueprint. There are news flashes which can sorta be helpful but there’s a really common one that wants you to make in-app purchase for double the reward and if you choose to not do it then you’re stuck with it for two days. I wouldn’t mind spending gems to cycle in a different news flash. It’s a good game but once you get to a certain point it gets boring and tedious. I’ve been a fan of this game for years now, but took a little break in between the new update from the version I started on, and I can’t say it was a success. After the game update, the game feels more confusing to play as the game mechanics have changed so drastically, from a simple fun playing experience to one that leaves your head scratching as to how you can upgrade and progress. I started playing when you gained love after selling buildings to gain keys to progress through the different areas, this to me was a great concept, and needed to stay with the game, but now I’m confused how that works. 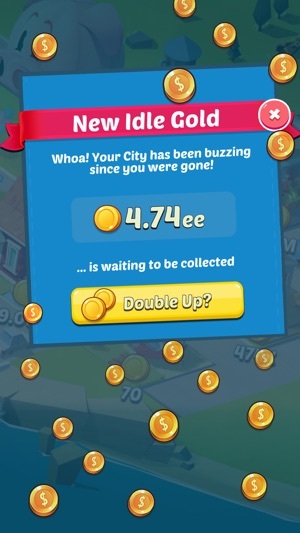 Also when there were the buildings value and the speed of building earning were separate upgrades instead of a single upgrade for both, them being separated added a sense of challenge and strategy to the field, and though the update is convenient at times, I do miss the strategy aspect. Unlocking the different buildings is thrown out it seems as there isn’t a real way to sell and trade out buildings anymore, or I haven’t figured it out, I would like to see them being that whole sell and trade unlocked buildings back, and the love sequence back as well, the game truly was fun to play and was addictive, and hope to see it return some of those aspects back soon that have been lost in the recent update.